About four years ago, I ran a storytelling program called Terry Tales. Before it began, I imagined a “Moth-style” event where from the very first event, people would enthusiastically tell stories about their lives to a group of strangers. What I discovered instead is that it takes time and confidence to realize that you have a story and experience to share. Instead of providing a space for performances, our events were about a circle of chairs, an open room, and tea and cookies to break the ice. The conversation was intimate, unexpected and dynamic, and participants ranged from first year students, to PhD candidates to recent alumni/young professionals in the wider community. Every event was different because the participants grew each time, we blogged about the conversation afterwards, and many participants shared with us how important these bi-monthly gatherings became to them. I stopped holding these events when I moved to Toronto for grad school, but Terry Tales taught me about the importance of spaces of community and the power of stories. Whenever I’ve moved in the past, whether it was to Toronto four years, or to Vancouver two years ago, or most recently, back to Toronto this March, it’s been important to me to find non-alcoholic centric spaces for discussion, and to find others who were striving to grow spiritually, develop strong family relations, make deep community contributions, create/appreciate heart-nourishing art, live healthily, and protect the planet. So much of the time, the conversations I have about faith are from the standpoint of explaining oneself, and so its always been important to also find people with whom to have proactive, positive conversations that widen and deepen my understanding of what it means to live faithfully in the world. The further I get from my undergraduate experience, the more questions I have, and the richer these conversations become. Now that I’m back in Toronto, I’d like to create a space for conversation on a regular basis. In many ways coming back to Toronto has been like moving to a new city altogether, and over the past couple of weeks I’ve been spending a lot of time listening and learning through one on one chats and large group settings. In large groups it’s been beautiful (for example) to witness the passionate debate at Canada Reads about how we understand difference, belonging, colonialism and marginalization in Canada today, to learn about the NFB documentary Highrise about the experience of living vertically in Toronto today, to participate in a Muslim Chaplaincy discussion about how people with disabilities experience inaccessible mosques, and to hear beautiful expressions from students of how faith and art connect, among other experiences. 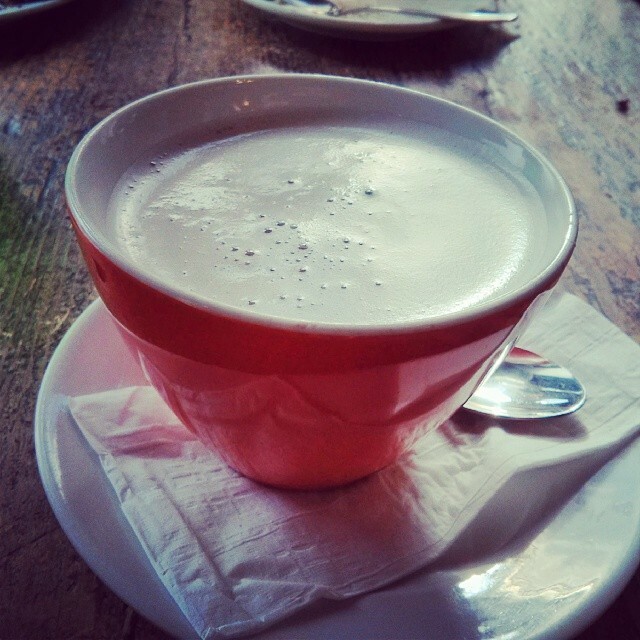 In small settings, it’s been wonderful to exchange stories and perspectives over long chats and multiple cups of coffee. Both encounters have been a reminder that that this is a city of countless stories, and telling and hearing our stories matter. Sharing one’s experience with others can be an act of discovery and identity formation, and for listeners, stories can act as both an entryway to unfamiliar perspectives and experiences and a bridge to discovering others with experiences similar to your own. In this spirit, Seriously Planning will, God-willing, offer programs on a regular basis on storytelling, books, dialogue and reflection. For either these events, please email seriously (dot) planning (at) gmail.com (or RSVP on the FB event page) to confirm your attendance. Hope to meet you soon! ” What makes our work relevant is love. We need love. The Prophet’s love was a source of productivity for those around him. He built the souls of the people around him. People whose hearts are filled with love, their work never stops because their work is driven by love and not by expectation. The absence of this from our life makes our life heavy. It makes a difference when we do things with love. If we have love of God and His Messenger, we see that love in our interactions with each other. Rather than claiming your rights and responsibilities and asking about your responsibilities and rights, instead of expecting, just love others. ~Shaykh Ahmad Saad Al-Azhari, Toronto Grand Mawlid, Jan 1st 2014. 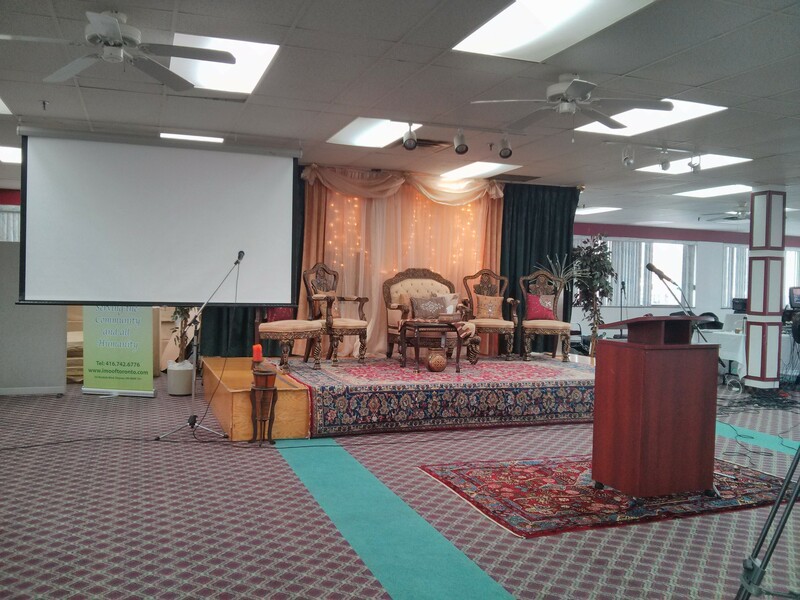 A Prophetic Model of Islamic Chaplaincy, IMO, Toronto. 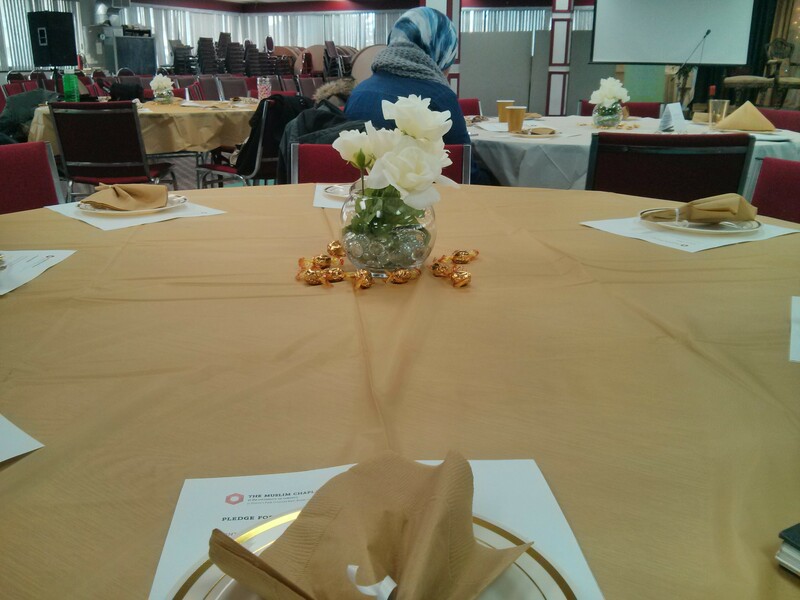 Earlier in the day, I had been at a lunch titled “A Prophetic Model of Islamic Chaplaincy” at the IMO Mosque in Toronto to learn more about the Muslim Chaplaincy’s success in its first year, and what it needs to become a financially sustainable organization. As a student at the University of Toronto when the Chaplaincy was an idea, to visiting Toronto a year ago and meeting the Chaplain and attending the initial programming, to returning back to the city now, it was a delight to see how the project had grown and developed in the intervening months. There was a blog post recently on Seriously Planning on Faith Friendly Communities, and this event was a reminder that strong communities require proactive organizing and investment to make change happen. The event started with Amjad Tarsin, the Muslim Chaplain at the University of Toronto talking briefly about their success over the first year, (more information about their work can be found in their 2012-2013 Impact Report here) and the philosophy that governs their actions. A video was also shown of a student named Zahra that was a beautiful, moving reminder that student support looks different for each student, and a university has to address issues of spiritual wellbeing and a positive university experience in ways that resonate with a diverse student body. Our philosophy is about three things. Embrace. Engage and Empower. We start with embrace because people want to feel valued. And so through our programming we let people know that we care. We also engage with students spiritually, intellectually, and socially through educational programming, film screenings and other events, and empower students with the tools they need in order to understand key issues and have confidence in their faith. There are other campus ministries at the University of Toronto that have been established for decades, and with nearly 5000 Muslim students at the St.George campus alone, it is important that Muslim students also have the resources they need to succeed. MSAs and chaplains are two different things. An MSA does not have the resources or skills to support students theologically. The genius of Islamic civilization was that it created structures and institutions to meet the needs of the environment it was in. Minarets, domes and tiles are not in the Prophet’s peace and blessings be upon him original mosque, but they serve a specific purpose and function that is beneficial to the surroundings. The same is true for madressas, muftis and ijazas. The development of new things to respond to circumstances is a perennial issue. In the Nawawi Foundation’s first trip to China we learnt about the system of female imams, and asked what made someone suitable to be a female imam. They showed us Mariam, who looked the same as everyone else, and said that since she was a young girl, she loved to come to the mosque and help people.The core competencies identified for this role were love of God and love of people. China is primarily Hanafi (a particular school of Islamic law), so these people were not leading prayers. Instead the female imam is a spiritual guide, a spiritual leader, a teacher, someone who can deal with family problems. The community recognised that there is too much work to do to leave for volunteers alone.Th ey knew they needed a paid position to meet the needs of community, and this paid position came out of the 10% that everyone gave out of their income to support the needs of the community. We need people who love to help others. Helping people, chaplaincy work requires a certain firasa, a certain insight about people. The Prophet peace and blessings be upon him always looked at people directly in the face. He was with people fully. It’s not about mechanically doing what he did. it’s about having the attitude that I am here as long as you need me to be. A chaplain is fully there. It’s a professional role. Often we put too much focus on buildings and not on people. But we live in a time of great dislocation. How many times in our life do we move? When we invest in people, the knowledge that they get goes with them wherever they go. The tradition of growing in community in one place is rare, and chaplains are important for transitionary populations. In jails, in hospitals, in universities, in these environments chaplains are important. Our tradition tells us “to be in this world as a traveller.” And in the past there were the caravanserai. They were endowments for Muslim travellers that offered help if a person needed help. Chaplaincies are like the caravanserai of old. Strong communities invest in their youth. We are all refugees. We have not been able to form communities in productive manners. Buildings don’t make people. They don’t develop people. We have a building fetish. We have buildings but no imams. Al-Azhar is not the building. Azhar is a way. it’s a practice. It doesn’t go away even if the building goes away. It’s a methodology. We have to think, “Have we left something for our children? Is there a mantle for them to take on? Or is there no mantle to assume?” It’s good for people here at this event to know about the chaplaincy, but other people, and other people still, need to know. We need to tell others. Not every student of sacred knowledge can be an chaplain. A chaplain deals with issues beyond textual issues. They deal with emotional issues. Bereavement issues. It takes resources, training, sacrifice. Doesn’t work with volunteers. If serious about developing communities, need to develop these resources. It’s not charity. The best people need to be supported in these roles. Prophet, peace and blessings be upon him himself carried out the training of young people. The word qawm (community) is not necessary people linked to by lineage or by location. It’s people linked in any way. Can have a qawm of profession. Muslim have become very unwelcoming to people with difficulties. People’s souls are very tired. They don’t need more discourse but they need to talk. People don’t find people who will listen to them. Prophet gave us a methodology. He said that we must have have good character and a cheerful face. Cannot run short of these two. At the same time though, still need training. The second thing the Prophet did was that he spoke to people’s minds. He addressed them intellectually. And finally he made dua (supplication) for people. So we see in the example of the Prophet peace and blessings be upon him that he addressed people’s social side, their intellectual side and their spiritual side. Let us renew our pledge of mercy and service. Of high morals and ethics. Jian Ghomeshi, 3 Cheers for Libraries, Dec 20th Q Opening Essay. I found myself nodding yesterday listening to Jian Ghomeshi’s essay on the excellence of Canadian libraries. 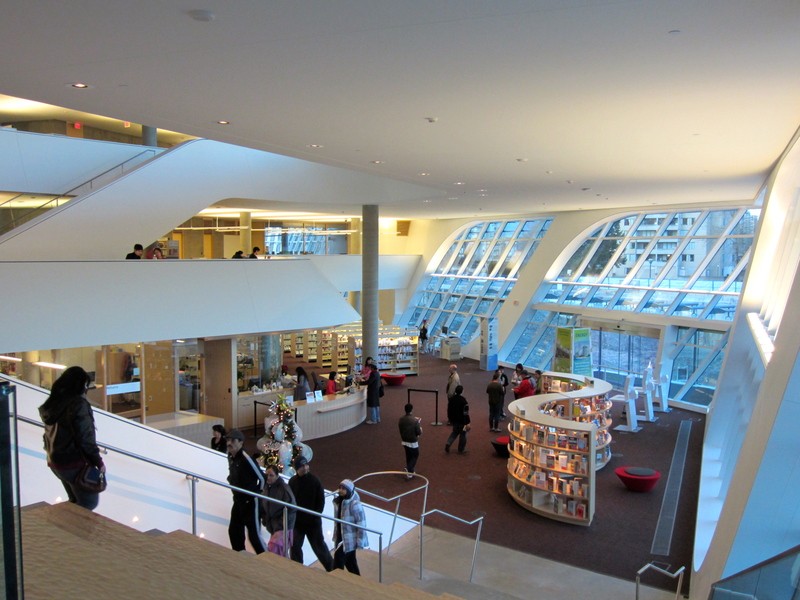 A couple of years ago I looked at the creation of the City Library in Surrey, BC and the Toronto Reference Library Re:vitalize project, and what I discovered was that great cities are home to exceptional libraries. Libraries produce public culture and are a physical manifestation of “shared meanings and values of public life” (Leckie and Hopkins, 2002, p.327). 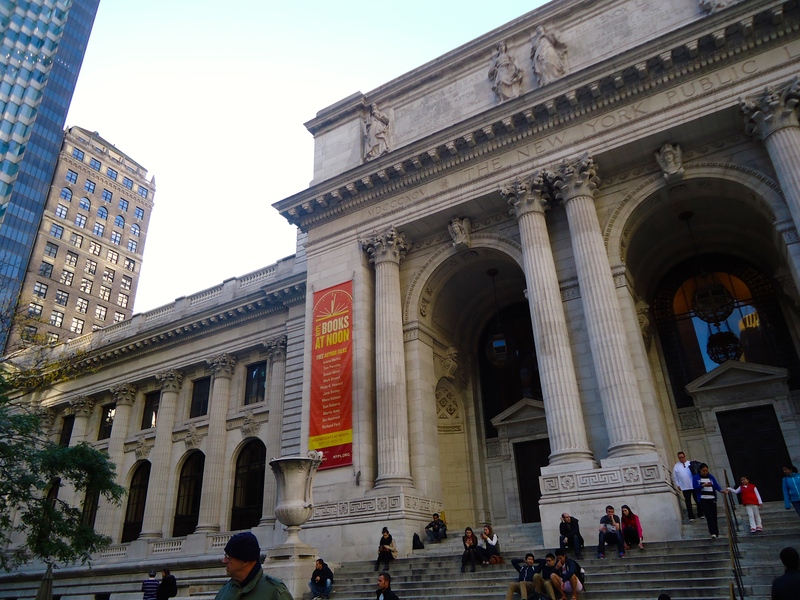 Central libraries in particular, “make a physical statement about the library as an integral part of civic culture, and make visible a symbolic statement about knowledge in society“ (p.327). Developing vibrant, creative and financially robust cities requires active public spaces, strong communication channels and iconic places (Landry, 2008), and the Surrey City Centre Library and the Toronto Reference Library Re:vitalize project embody all three of these qualities in different ways. The Surrey City Centre Library places a greater emphasis on public space, and is part of the City of Surrey’s attempt to transform Whalley, “Surrey’s least desirable neighbourhood” (Sinoski, 2011) into a new high-density downtown core. The Toronto Reference Library on the other hand, focuses on the development of knowledge and positions Toronto as part of a worldwide scholarly and information conversation. How these projects act as public spaces, communication channels and iconic buildings, connect to a broader vision of their respective cities. To be creative cities, cities today need a mix of both soft and hard infrastructure. Hard infrastructure are things like roads that connect the city, whereas soft infrastructure create pathways for people to meet one another, exchange ideas and develop relationships (Landry, 2008, p.xxiii). To create soft infrastructure, the development process must shift to include considerations of how design nurtures and encourages communication between different people (p.xxiii). Soft infrastructure means that a city has an abundance of “third places”, defined as “neither home nor work where people can be together” (p.xxiii). A range of spaces in the city qualify as third places; they are quiet or energetic spaces, spaces that incorporate green elements and other aesthetic features, and spaces that are equipped with technological features (p.xxiii). Public spaces contribute to creativity because they allow people to “go beyond their own circle of family, professional and social relations. The idea of the public realm is bound up with ideas of discovery, of expanding one’s horizons, of the unknown, of surprise, of experiment and of adventure” (p.119) For Landry, public space “is at the heart of the innovative milieu” (p.119). Libraries today are one of few non-commercial third spaces in the city. In addition to public space, municipal governments need to provide opportunities for lifelong learning (p.63). Libraries are significant because they provide accessible learning opportunities and act as communication channels to information, one of the most important factors in encouraging creativity in cities (p.122). The function of communication channels is to “back up information resources”, because “the greater the information ‘density’ and exchange, the easier it is for creative individuals and institutions to keep abreast of events and best – practice developments, both within the city and outside it” (p.122). Canada is a country of libraries, and in Ontario, libraries have been a feature of the urban landscape since 1882 (Leckie and Hopkins, 2002, p.327). The Toronto Public Library system has ninety-nine branches and its central branch is the 400,000 square foot Toronto Reference Library. This library has been part of Toronto for a hundred years, but opened at its present Yonge and Bloor location on Nov 2nd 1977. In 2007, the Reference Library began a five – year revitalization project with a total cost of thirty-four million dollars. The City of Toronto contributed fourteen million dollars through its municipal capital funds, the Province of Ontario contributed ten million dollars, and the remaining funds are being raised through a capital campaign called Re:vitalize. The campaign began in 2009 and is the first public capital campaign in the Library’s history. The upgrades are meant to position the Library as an “information hub of Toronto” and Toronto’s “foremost public centre for lifelong learning, the exchange of ideas and community engagement” (2009, About Re:vitalize). Though being an exceptional communication channel is the library’s primary focus, it will also be a vibrant public space and iconic Toronto building. The new library is being designed to make it more obvious to the street and surrounding area, and will feature a special collection rotunda to emulate the reading rooms of other great libraries worldwide, more research and study spaces, “Idea Gardens”, study pods, and a “Global Connect Wall” (complete in Dec 2013!) of real-time worldwide news updates and enhanced technological resources and features within the library itself (2009, About Re:vitalize). The library’s vision of greenery, networked spaces and areas of differing energy levels matches Landry’s description of the attributes of successful third spaces. As an iconic Toronto building, the Library’s contribution to “elevating the streetscape with great design is in itself a cultural contribution” (Hahn, 2011). As an information hub specifically, the Library describes itself an important contributor to Toronto’s overall economic, social and cultural health. In terms of its contribution to Toronto’s economic health, it notes for its thousands of daily users, the Library supports “workforce readiness, small businesses and place-based economic development” and that “business people and the creative community use the Toronto Reference Library as “they develop and grow our city” (2009, About the Toronto Reference Library). The library’s relevance as an exceptional communication channel for Toronto’s creative community is evident in its existing resources. Specific resources in the Toronto Reference Library include the Baldwin Room, which dates back to 1883 and houses items of historic importance to Canadians, the Arthur Conan Doyle collection with works about Doyle and Sherlock Holmes, and the Art Room that houses items related to Canadian and international performing and visual arts and other rare art collections (Skinner, 2011). All these collections house items that are not found at other branches. In terms of cultural contributions, the Library offers a variety of opportunities to learn for its diverse membership and according to its website, does more to support lifelong public learning than any other public institution in the city. In particular, the Library makes a noteworthy contribution to Toronto’s cultural life through its ongoing schedule of talks in the Appel Salon by authors, artists, and other thinkers. 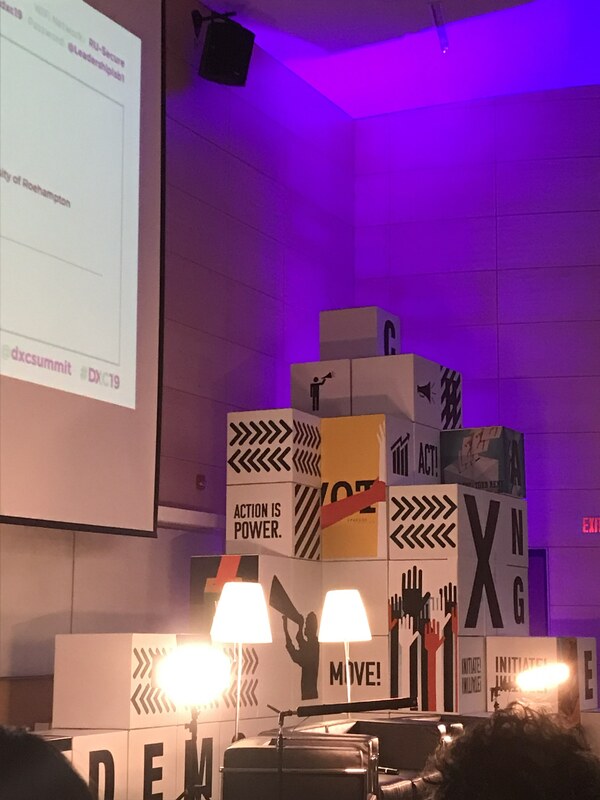 The Appel Salon was created through a three million dollar gift to Re:vitalize, and is meant to be Toronto’s “premiere public space for cultural programming, civic discourse and community engagement” (About Re:vitalize). Outside of the Salon, the Human Library is another important project that provides Torontonians an opportunity to meet others from many different walks of life by “signing” them out for an hour of conversation. In contrast to the Toronto Reference Library’s focus on information, the Surrey City Centre Library in British Columbia is an 82,000 square foot library that is partly a community centre, and partly a place for book-lovers to gather. Unlike many community centres or bookshops however, the library is a Silver Leed certified building and features language classes, business seminars, a coffee shop, a “teen lounge, and gaming area, a world languages collection, quiet and silent study areas, a children’s section, living room reading lounge, outreach services for the visually impaired, and even a meditation room” (Reid, 2010). At present, the Surrey City Centre Library is the most technologically equipped library in the province. Our new library has already become a wonderful community gathering spot and is attracting visitors from all across the region, creating a new cultural and social hub in the city,” said Mayor Dianne Watts. “It is architecturally stunning and provides an iconic landmark for City Centre. I believe that innovative and unique architecture has the ability to shape a city’s identity and create the heart and soul of a community. ~City of Surrey, 2011. In conclusion, there is a connection between creative cities and strong libraries. Great libraries are vibrant public spaces. In Surrey, the City Library is a vibrant community space that is intended to gather people together and help them imagine Surrey in different ways, and Toronto is strengthening the incredible information resources that Reference Library already contains. Like libraries across the country, both play a vital role in supporting the economic and cultural life of their home cities, and are cause for celebration. Three cheers for libraries indeed! Amber, P. (2011, August 18th) In Progress: Surrey City Centre Library/Bing Thom Architects. Arch Daily. Architects and Artisans. (2011, August 16th). In Surrey B.C, A Library by Bing Thom. City of Surrey. (2011, Sept 24th). Dynamic and Unique City Centre Library Officially Opens Downtown. Landry, C. (2008). The Creative City: A Toolkit for Urban Innovators. London: EarthScan. Leckie, L.G., J. Hopkins. (2002). The Public Place of Central Libraries: Findings from Toronto and Vancouver. Library Quarterly. 72(3): p.326-372. Reid, M. (2010, Nov 17th).City Centre Library: Not Just Books. Surrey/North Delta Leader. Saltman, J. (2011, June 10th). A Library for the Future. The Province. Taylor, S. Downtown Surrey BIA. (Oct 2009) A New Library for Downtown. The View. Toronto Reference Library Campaign. About the Toronto Reference Library.